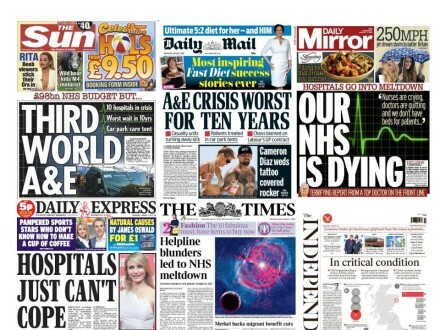 The NHS has been in the news a lot this winter. Many have expressed grave concerns about underfunding as well as increasing privatisation. Sir Simon Steven, head of NHS England, said the NHS needs £4 billion just to stand still. Despite this, we got just £350 million (not billion) for the winter crisis. This is the equivalent of just one week of the Brexit bus promise! We have then been promised £1.6 billion for 2018/9 (£2.4 billion short) and £1.7 billion for 2019/20 (£2.8 billion short). A recent BMJ open report suggested 120,000 people have died as a direct result of Tory austerity cuts to the NHS Social Care and benefits since 2010. That is 120,000 that would still be alive if it were not for the cuts. It is not even as if austerity is working. Productivity (which the Tories kept saying would go back to 2% if we cut back) has been downgraded to 0.5%. Moreover, debts are bigger than in 2008! Then there’s increasing privatisation with companies such as Virgin Care being awarded big and lucrative NHS contracts. Fortunately there’s fightback in a number of quarters. Professor Stephen Hawkins has led on a big court case against the governments plans to bring multinational health conglomerates into our NHS (via Accountable Care Organisations or ACO’s). This would allow these huge private health care companies to be given 15 year long contracts, ensuring its almost impossible for future governments to change. Professor Stephen Hawkins and his associates are taking legal action against this and so far are doing well. What we want is a publically run and fully funded NHS and we definitely do not want an NHS run where profits go into the shareholders pockets. We need any ‘profits’ to be reinvested back into our NHS and used to benefit the British people. See the website for Keep Our NHS Public. In it’s section titled ‘Resource Cabinet’ there’s a lot of credible and up-to-date information on what is happening in our NHS. You’ll also find information on the website about local campaigning groups if you want to get more involved in local NHS campaigns. Can we affect what happens to our NHS through the new Clinical Commissioning Groups?